2018 is shaping up to be an incredible year at monday.com, and we’re only halfway through! We’re excited to announce today that we raised a $50M Series C funding round, led by New York-based growth equity firm, Stripes Group, with participation from our earlier investors Insight Venture Partners and Entrée Capital. 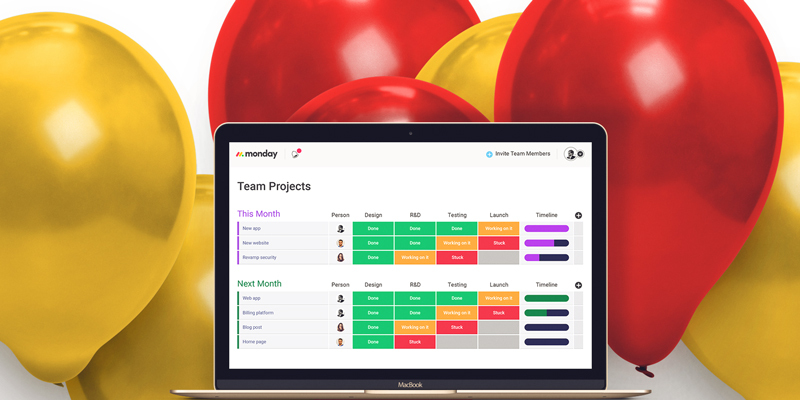 We’ve always believed that to effectively change how teams work, you must actually love the tools you use and our goal in building monday.com is to do exactly that. We want to build a platform that is the first thing you check when you come into the office in the morning, that manages your every workplace process, and that at the end of the day, makes you smile. To keep doing that, we’re excited to bring on a new partner in Stripes Group that shares our vision. As we continue to be inspired by the amazing ways you’re using monday.com, we have more and more features that we want to build for you. In fact, we feel that we’ve only scratched the surface so far! We witness every day how you, our incredible community, accomplishes incredible things when given the ability to build your own workflow. 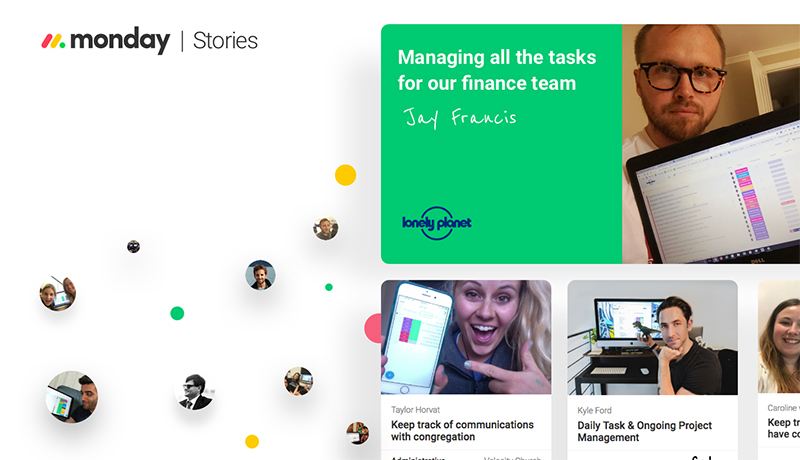 From local religious institutions using our platform to keep track of their fundraising to multinational banks using our tool to collaborate across the globe, we’ve seen teams of 2 – 2000 achieve more together when you’re empowered to work the way they want. The Column Center: We’re super excited about this! You know all of the columns that you already love on monday.com? Well, we’ve added 15 new ones and they’re awesome. The columns facilitate any sort of data input you could imagine including time tracking, a creation log, location views, and many more. Board Views: We’re launching a brand new way for you and your teams to visualize, interpret, and extract data from the platform. You can now experience your boards and see your information from a variety of different perspectives. Charts to maps, calendars to files, the opportunities are endless. monday Stories: We built a way to harness the power of this amazing community we’re building together. It’s a place where use cases and best practices can be shared across over 200 business verticals. We not know how to best manage your business using monday.com, but we bet someone else does in the community does! To learn more about about how each of these features is going to further empower you to customize your own workflow, check out this detailed overview. Historically, workplace collaboration tools have been clunky and restricting, with teams having to waste a ton of time updating project statuses, determining their role in the bigger picture, and drowning in spreadsheets. Not anymore. 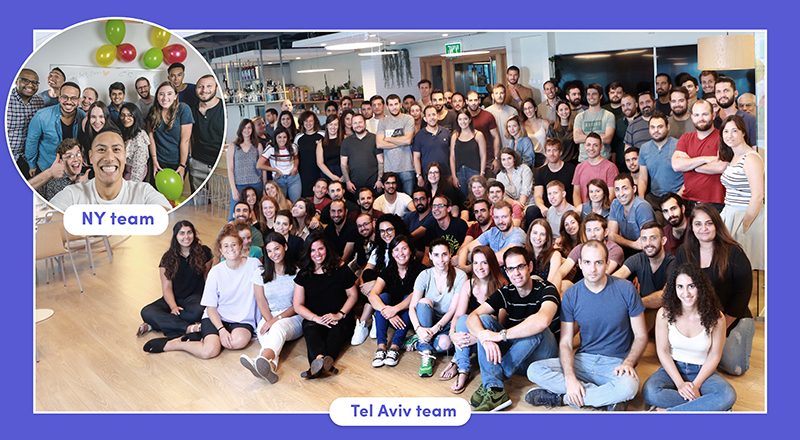 In the immediate future, we’ll be using our new funding to accelerate our ambitious growth strategy by scaling our team (in Tel Aviv and NYC), developing more product integrations, and continuing to refine vertical-specific customization. We’re now a team of 130 people and a community of over 35,000 paying teams. That’s wild. But as we said before, it’s only the beginning. We plan for all of this to grow, and grow fast. We’re always hiring for dozens of positions and are always looking for talented people to join us. So what happens now? With our amazing team, continuing new innovations for our product, and growing community, we’re working to shift the paradigm of the way people interact with software. No easy feat, and that’s where you come in. We want you to always be expecting more from us, to push us, and to grow with us, We’re up for the challenge. We continue to be inspired by the incredible ways you and your team use our tool and we can’t wait to blaze this path together.